818 Coworking is open to everyone on the first Tuesday of every month. 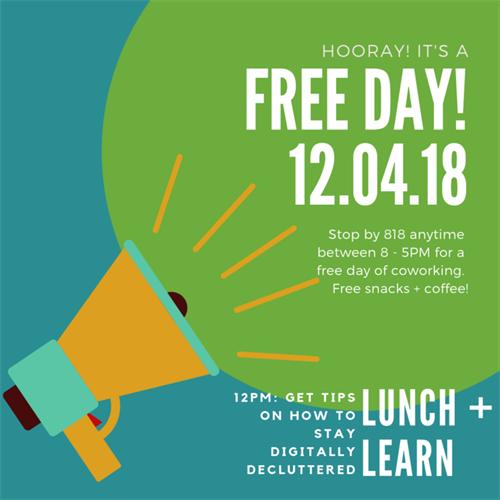 Stop by anytime between 8 - 5PM for a FREE day of coworking. Registration required. Limited number of tickets available. Please RSVP below or by registering here.